For years, we've provided homeowners with a wide variety of landscaping services - all delivered with professionalism, convenience, and quality that anyone would want from their landscapers. Today we're proud to say that, through the generous support of our clients, Chop Chop Landscaping is now offering this same commitment to quality and this same range of specialized landscaping services in Eagle Lake, FL and much of the surrounding area! Our team of professional, dependable landscapers in Eagle Lake, FL have the same training, equipment, and dedication to satisfying customers that has helped make Chop Chop Landscaping the proven, reputable company it is. Best of all, all of our Eagle Lake landscapers are local, meaning that you can count on your services being handled quickly, conveniently, and professionally by people you can trust! 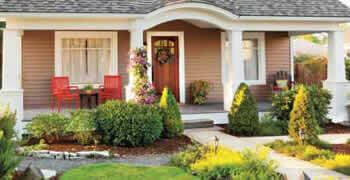 Your home deserves the very best, custom-designed landscaping services Eagle Lake, FL has to offer. That's why our team of landscaping contractors come prepared to be your one-stop-shop for all things lawn, yard, and garden. We strive to provide each and every homeowner with Eagle Lake landscaping services that they'll love coming home to every day. If you're interested in learning more about the landscaping services our Eagle Lake landscapers can quickly and conveniently provide for you, simply call (863) 804-6667 to speak with our friendly and knowledgeable staff! They'll provide you with everything you need to know and help you schedule a completely free at-home consultation and estimate with no obligation! It's never been easier to design and maintain your home's perfect landscaping look so don't delay!